The HackCentre project is one a number of Kingston University initiatives funded by Santander Universities. Kingston University is providing pioneering new learning experiences for its students through a new HackCentre programme. 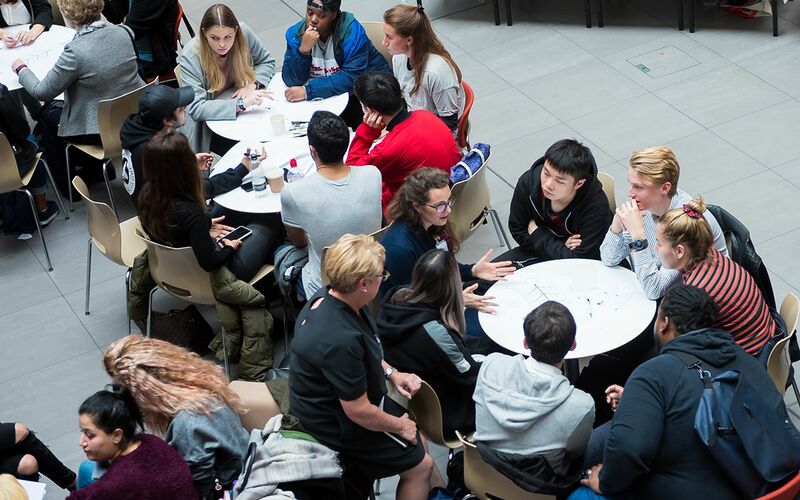 Funded to the tune of £75,000 by Santander Universities' Enterprise and Entrepreneurship Fund, the HackCentre is bringing industry and education together in a series of challenging hackathons designed to encourage students to explore new ideas and put their creative thinking to good use. The project, which comprises a packed calendar of more than 20 hackathons alongside other events, will involve more than 750 university students from now through to mid-March next year. HackCentre project manager Amanda Baker said the hackathons would be made up of intense bursts of joint effort to find solutions to industry problems. "Originally hackathons were about computer programmers or ‘hackers' collaborating intensively to create software," she explained. "The term has come to have a broader meaning now, though, often encompassing any time-limited problem solving event." The University's students would have the opportunity to work together on particular challenges to acquire new skills, she said. 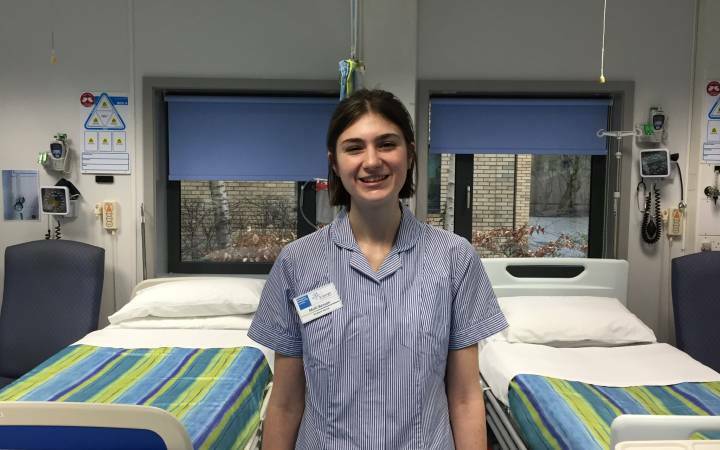 "At each event, students will be focusing on four main areas – exploring the problem, developing a solution, refining their proposal and finally pitching their ideas," Ms Baker added. "Linking industry and the community with students and academic expertise, the HackCentre task team will help to solve or ‘hack' the challenges they have defined." 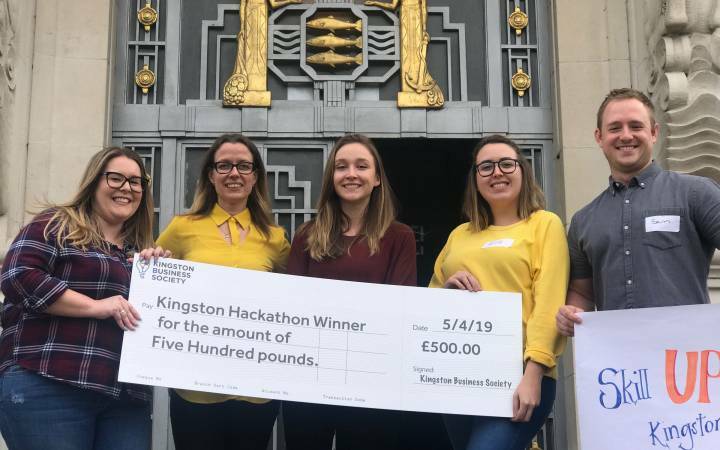 Kingston Business School's Strategy, Marketing and Innovation department recently kicked off the HackCentre's activities with a mini hackathon for existing entrepreneurs held in celebration of this year's Women Entrepreneurship Week. 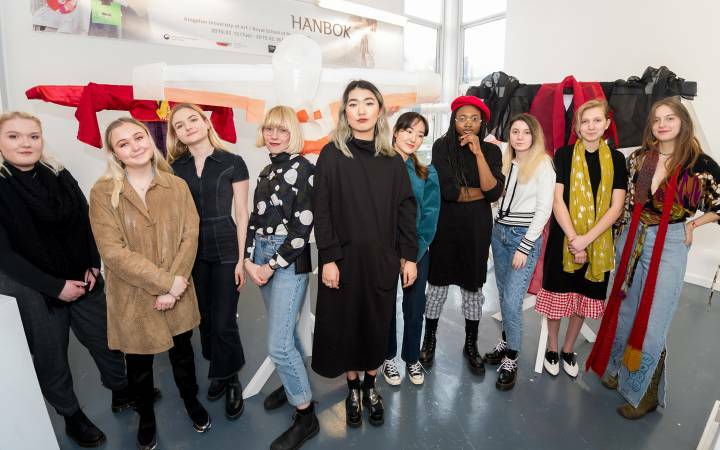 The session bought together 70 second-year Business School students with 12 leading female business owners from a range of companies, including start-ups, alongside more established companies. 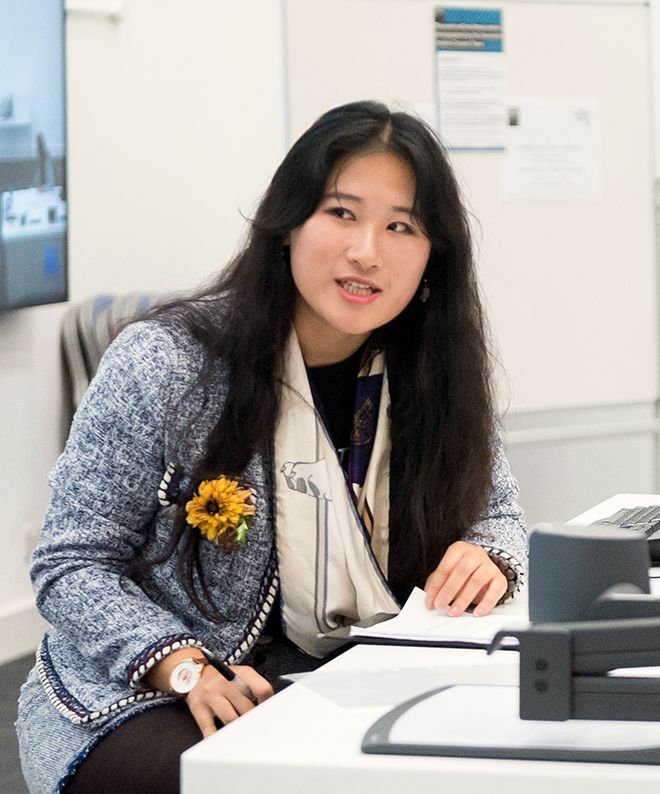 Business student Sunny Ye, who attended the hackathon, said she'd learnt a lot from the women entrepreneurs there.Second-year business management student Sunny Ye said she had learnt a lot from the women entrepreneurs at the hackathon. "They described the challenges they faced in their entrepreneurship journeys and helped us see how naive we were about some of the factors affecting business," she said. "It was also great to be able to use our skills to come up with complete solutions to their business problems." Successful business owner Skye Barbour of Skye Barbour Ltd said the students had asked some great questions at the hackathon and it had been good to talk through the various issues women in the world of business could face. "To be able to come and talk about success stories, share experiences bounce ideas off each other and the students was such a positive thing," she added. Along with the mini hackathon for entrepreneurs, the HackCentre has also run an all-day hackathon for 100 MSc engineering students. The students were joined by 11 external guests from industry including the University's relationship manager for Santander Universities, Simon Poulter. The new HackCentre is just one University project being sponsored by Santander Universities Division, which manages Santander's long-term strategic alliance with higher education. During the past four years, Santander Universities has provided more than half a million pounds of funding for Kingston University programmes, scholarships and internships benefitting thousands of students, staff and members of the surrounding community. HackCentre would be a great way to inspire the next generation while providing an opportunity for current businesses to propose live briefs and develop innovation in their organisations, Amanda Baker said. "Employers will secure the assistance of talented students providing insights, ideas and responses to real-world problems," she explained. 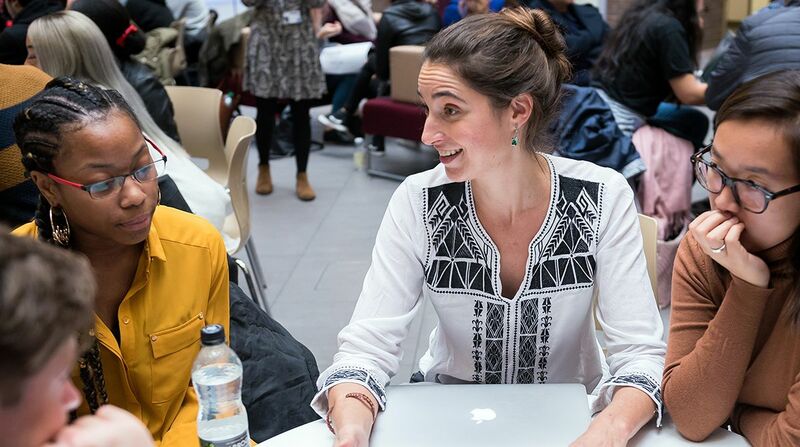 "For students, by embedding events like these Hackathons into their modules, we can offer them an insight into the practicalities of business, allowing them to use their creative mind-sets and put what they have learned into practice. This will help them not only during their studies but for their working lives ahead." Find out more about Kingston University's new HackCentre project and other Santander Universities-funded projects. 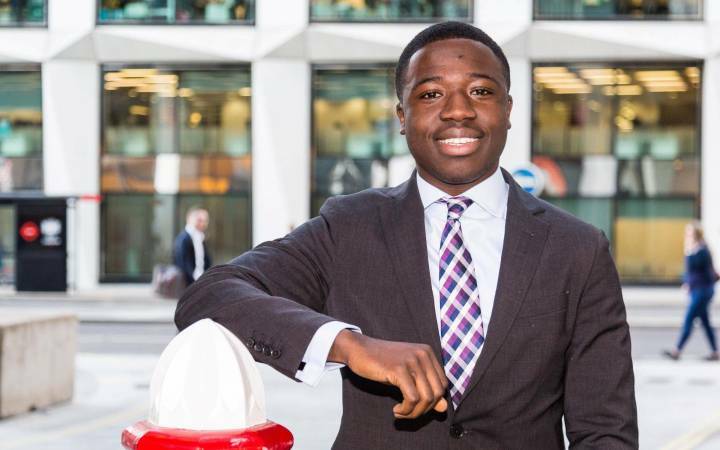 Find out more about studying business management at Kingston University. The Womens' Entrepreneurship Week hackathon was the first in a series being run through the HackCentre project.